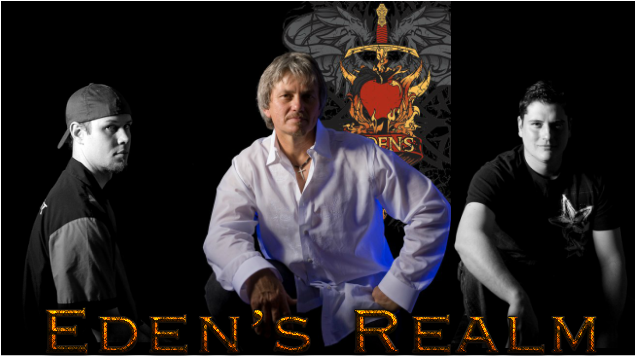 Eden's Realm comes to us from Waco, TX where they deliver up top-level melodic Rock/Hard Rock . Eden's Realm is headed up by front man James Guest who has had a life long career in music. James began singing at age six and later started his first band at the early age of 18 called 'Mach IV'. He then went on to release a couple of side projects under his own name 'James Guest' where in 2003 he released 'Souls Of Gospel' & in 2005 he released 'Klenzed'. Recently, James has continued his passion for music by filling the spot as front man for Millennial Reign's sophomore release titled 'Carry The fire'. I'm going to be honest, I really like this 2012 release a lot. This debut-release delivers up the goods for fans of Classic Rock/Hard Rock complete with a Progressive attitude that propels the songs along. I have always been a huge Journey fan and they are one of those bands that their music is timeless never getting old due to their ability to produce melodic blues oriented Rock. Here with Eden's Realm's 2012 release, we find a similar approach with the vocals and the instrumental arrangements which both deliver in a big Classical way. Now it's impossible to listen to the Vocal work of James Guest and not hear the strong similarities between him and Steve Perry(Journey). No, Guest is not a Perry clone due to his ability to reach beyond and pull out some grit with a much heavier vocal tone that would suit just fine in the Metal genre. Furthermore, in various moments, we often find James sounding very similar to the likes of Sammy Hagar(Van Halen) . In the tune "Dna" I even hear some similarities to Chaz Bond(Jacob's Dream). James Guest demonstrates some incredible Vocal control with his Blues infused Soprano delivery. We find plenty of Vocal variances along with enough hooks to easily catch and draw one into this musical journey. We also find that some of the tunes progress up to climaxes where we find Guest effortlessly stretching out his range with a more intense Metalesque Vocal delivery. The guitars are handled by front man James Guest and tend to jam along in a Classic Rock manner much like what we find in the early and late 80's. We don't find the guitar work drowning out the lead Vocalist and is used more in a accompaniment manner. The riffs run the gamut between Edgy, driving, acoustic, and we also find that the guitars help control most of the atmosphere throughout the tunes. 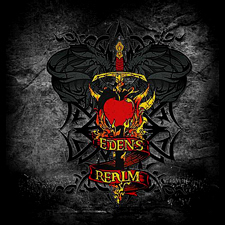 Eden's Realm shows their flexibility in that there are two rockn' praise tunes found in the tracks "Awesome God" , & "Heart Of Man" which helps to show the bands love for God. 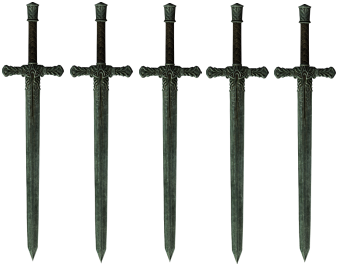 ​There's also a running theme of praise throughout some of the other tracks as well. Now this debut album isn't going to pick you up and slam you on the floor till all your teeth fall out but it will give you some solid melodic tunes that you'll find yourself returning to for years to come. If your into Melodic Classic Rock music that is similar in nature to bands like Journey then your in for a treat here with Eden's Realm's 2012 release. Be good to yourself by picking up your copy of this outstanding release because we were all raised on radio.